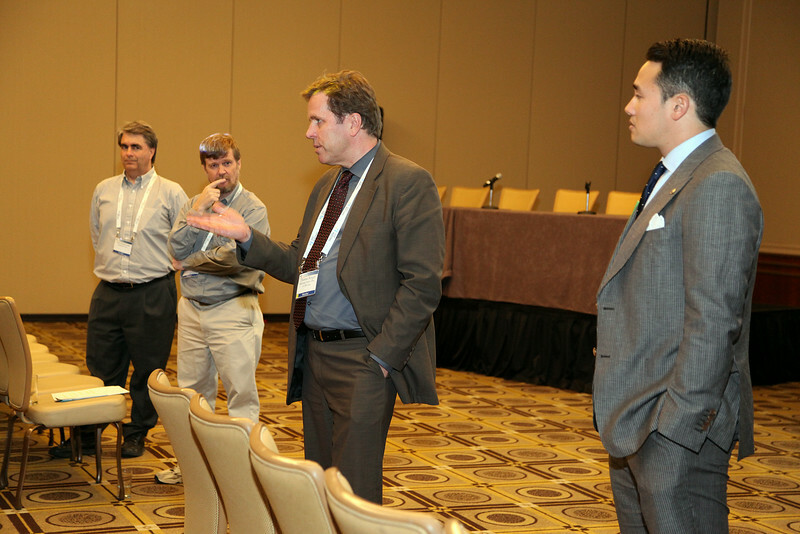 In a Monday-evening session entitled "Advocating in a Challenging Budget Environment," key public-policy advocates from the AAS and the Solar Physics Division (SPD) offered their perspectives and responded to questions and comments from the audience. Speakers included (left to right) Todd Hoeksema, representing the AAS Committee on Astronomy and Public Policy (CAPP); long-standing SPD member Gordon Emslie; Tom Berger, chair of the SPD Public Policy Committee; and Josh Shiode, the AAS John Bahcall Public Policy Fellow. AAS photo © 2014 Joson Images.